It all came down to a matter of names — or, rather, a lack thereof. 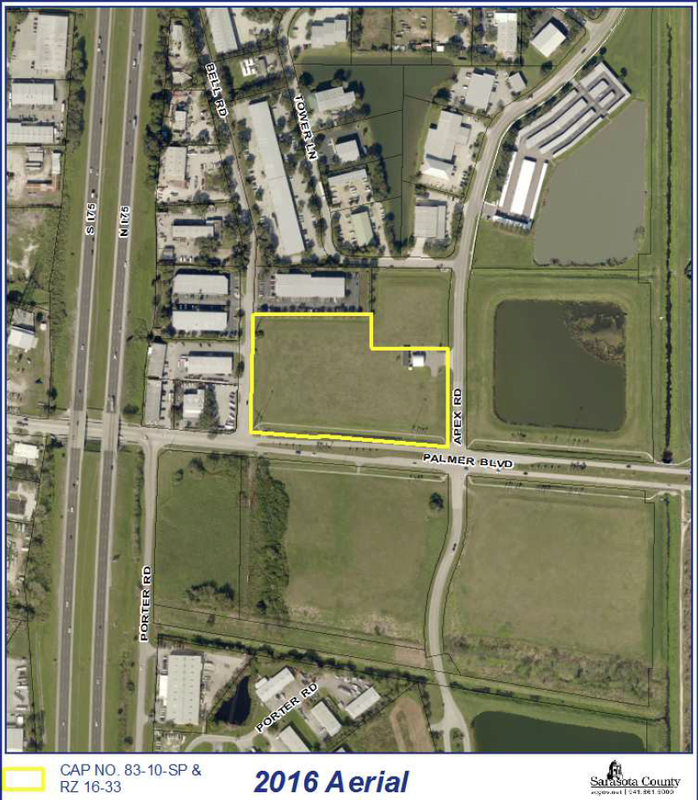 By unanimous vote on March 1, the Sarasota County Commission continued until the afternoon of April 26 a public hearing on a petition to rezone 6.9 acres the county owns on the northwest corner of Palmer Boulevard and Apex Road. The property is under contract to be sold for the construction of a 60,000-square-foot wholesale restaurant supply warehouse. The board’s decision came close to an hour after the staff presentation began, and it focused on what commissioners cited as a lack of transparency regarding the individuals represented by the applicant, JMDH Real Estate of Florida LLC. 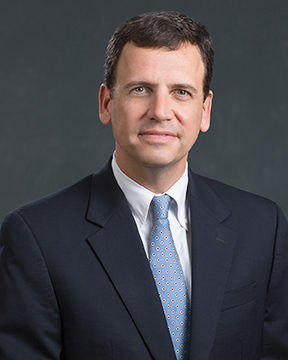 Charles D. Bailey III of the Williams Parker law firm in Sarasota — the agent for the applicant — explained that, along with two individuals, the owners include an investment firm representing the government of Abu Dhabi in the United Arab Emirates; investment funds representing the General Motors Pension Plan, as well as California public employees and teachers, among others; and three trusts whose beneficiaries are South African nationals affiliated with Restaurant Depot. The new warehouse in Sarasota County would be the company’s 11th in Florida, Bailey added. The trusts were the focus of much of the debate. 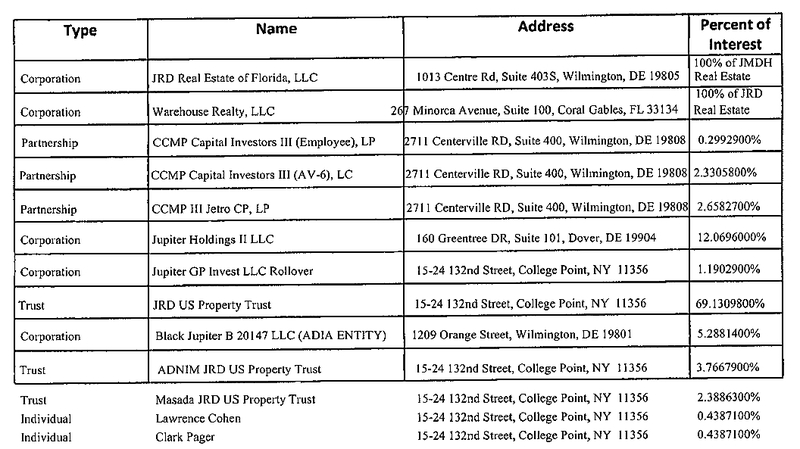 Roddy explained that the county in the past had accepted rezoning applications involving trusts, but they were “fairly defined” groups, such as “Charlie Bailey and his direct lineal descendants.’ … When it comes to trusts,” Roddy continued, “you have to disclose beneficiaries. That’s how I looked at it,” he added in regard to his memo. Commissioner Alan Maio then underscored the concern among members of the public: “There’s always this sneaking suspicion that somebody’s wife or son or both are somehow part … of mysterious trusts or corporations.” The reason the charter calls for full transparency, Maio added, is to ensure that no commissioner or member of his or her family will see any gain from a vote that commissioner takes on a rezoning petition. However, noting that he is not an attorney, Chair Paul Caragiulo replied, “At the end of the day, it’s very hard for me to sit up here and have [our] attorney say [this application] hasn’t met a standard, and for me to argue that it has.” He told Bailey, “I don’t doubt that you’re making a good faith effort, but that’s separate from whether it complies with what the regulation is.” The disclosure of the ownership that Bailey had provided “doesn’t meet the standard; that’s all,” Caragiulo said. Bailey offered to delay the hearing so he and his clients could meet with Roddy to try to resolve the problems. Nonetheless, he told the board, the contract for JMDH to purchase the property for $1,280,000 also calls for a $100,000 penalty if the deal is not closed by April 21. Therefore, Commissioner Nancy Detert’s motion also called for Roddy to work with Bailey on an extension of the contract closing period. Commissioner Charles Hines pointed out to Bailey that the board could have allowed him to proceed with the hearing that day. 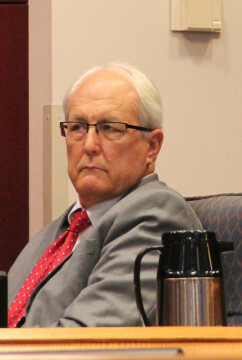 However, Hines said, even if the commissioners ended up feeling comfortable with the situation and approved the petition, “in all likelihood,” a legal challenge would ensue. “I think you can clear this up if your clients will allow you to,” Hines told Bailey. With Maio having noted that the Commission Chambers held about 200 people, Hines also apologized for the inconvenience to them. On Feb. 25, a demonstration was organized at the Celery Fields, the county’s internationally known bird-watching park, which is near the property for which the rezoning has been sought. Opponents of the restaurant supply warehouse proposal have made it clear through that event and social media that they are opposed to an industrial use near the Celery Fields. 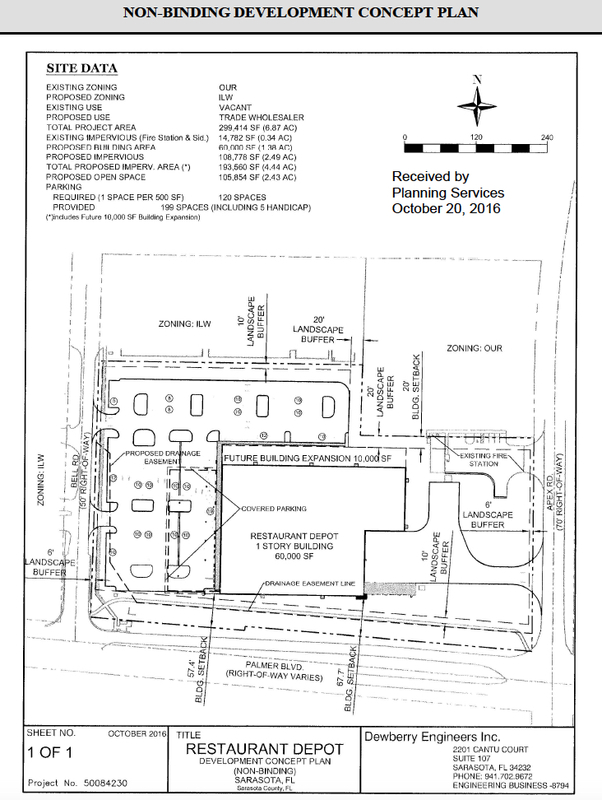 Nonetheless, the county’s planning services manager, Tate Taylor, testified at the outset of the Feb. 28 public hearing that the county’s Future Land Use map shows the intention is for the parcel at Apex Road and Palmer Boulevard — and adjacent land — to be used for Major Employment Centers. JMDH Real Estate of Florida was seeking to rezone the property from Open Use Rural to Industrial, Light Manufacturing and Warehousing (ILW). Taylor explained that ILW zoning is the typical implementing district for a Major Employment Center. Without the rezoning, Taylor added, the 6.9-acre parcel can be used only for agricultural uses, such as the growing of crops or livestock grazing. 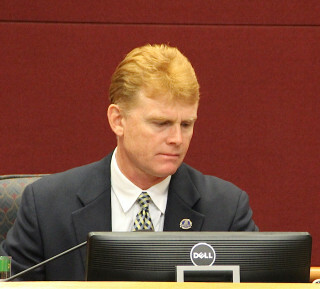 Commissioner Hines was the first to broach the issue of Roddy’s legal opinion about the ownership issue. “Under our charter, the application must disclose … persons, not entities, who are the [applicants],” Hines said. Yet, the material provided to the board did not include all the names, especially in regard to the trusts, he continued. Should the hearing proceed? This is not the first time the Office of the County Attorney has written such a memo, Roddy said. Staff in that office did meet with representatives of the applicant in this situation, Roddy noted. Subsequently, he believed more names were submitted to county staff. “I haven’t seen that [the application] complies yet,” Roddy responded. “You haven’t seen that it legally complies yet,” Hines repeated the statement, drawing applause from the audience members. The exchange resulted in Chair Caragiulo’s chastisement of the audience; he explained the need for decorum in a public hearing, when a record of testimony is being kept. It was one of several occasions during the Feb. 28 hearing when Caragiulo admonished audience members to refrain from reacting to discussion. “Thank you,” Hines told him. Hines suggested Bailey try to clear up the matter within the first 5 minutes of the 20 minutes he would be allotted to make his presentation during the public hearing. “I think that’s perfectly reasonable,” Caragiulo agreed. Detert then allowed her motion to die for lack of a second. Pointing out that the charter was written in the 1990s and adopted by referendum, Bailey contended that it would be impossible, for example, for a real estate investment trust to apply for the rezoning of a parcel. Roddy acknowledged that such ownership entities have become more common in the past eight to 10 years. I found disheartening during yesterday’s meeting to witness Attorney Bailey and our (the citizen’s of Sarasota) Attorney Roddy both say they will work together in trying to hammer out the ownership of all interests in the Restaurant Depot deal. The burden of legal strategy should fall on Attorney Bailey. We, the people of Sarasota, pay Attorney Roddy’s salary so why will Roddy be working with and sort of for Restaurant Depot to try and satisfy the charter? With all due respect, Commissioner Moran, you may have signed an “oath” but that does not apply to the unknown interests applicable to this subject. In any case, thank you all for respecting our Sarasota Charter, it was refreshing. It is nice to see and believe that our charter works and exists for a reason. Without the charter, it appears that the people of Sarasota would have nothing to protect their interests. 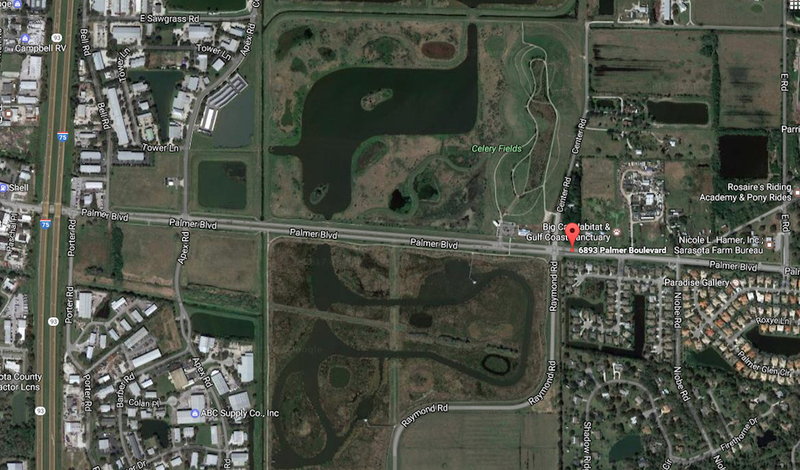 Keep the Celery Fields. We don’t need more warehouses to disturb our wild life.